The Rowing Club, aka the 'Downstairs' club, strongly encourages all Members and Supporters to become active members of the 'Upstairs' licenced club - UTS Haberfield Club. At UTS Haberfield Club, the cuisine is inspired by the venue’s stunning location and proximity to some of the best and freshest produce in the world. Open for lunch and dinner daily, and breakfast on the weekend, UTS Haberfield Club’s dining experience is one to truly savour and enjoy. UTS Haberfield Club is the location for those who live nearby to meander down on a Sunday afternoon to enjoy our “Sunday Sessions”, or enjoy a casual lunch or dinner. Whatever the occasion, you’ll be truly inspired by your dining experience. The venue has capacity for 220 guests at any one time, including the stunning outdoor seating area. UTS Haberfield Club’s Head Chef, Shane Rider, boasts an impeccable pedigree. With over 20 year’s experience in the industry, Shane, has won a number of coveted industry awards both in Australia and internationally. He has also been invited to judge international culinary competitions. 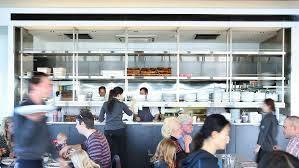 Prior to joining UTS Haberfield Club, Shane, was the Head Chef at Sydney’s eponymous “Imperial Hotel”. Shane’s previous experience includes landmark five-star hotels in Australia and Asia; and trendsetter cafes and restaurants in Sydney and Melbourne. Now heading the team at UTS Haberfield Club, Shane’s motto towards food is simple, honest, great tasting food with the freshest, local ingredients. Inspired by the flavours of Asia, Shane’s food represents the melting pot that is unique to Australian cuisine. Shane and his team’s focus is to bring the best dining experience to all that come to UTS Haberfield Club.